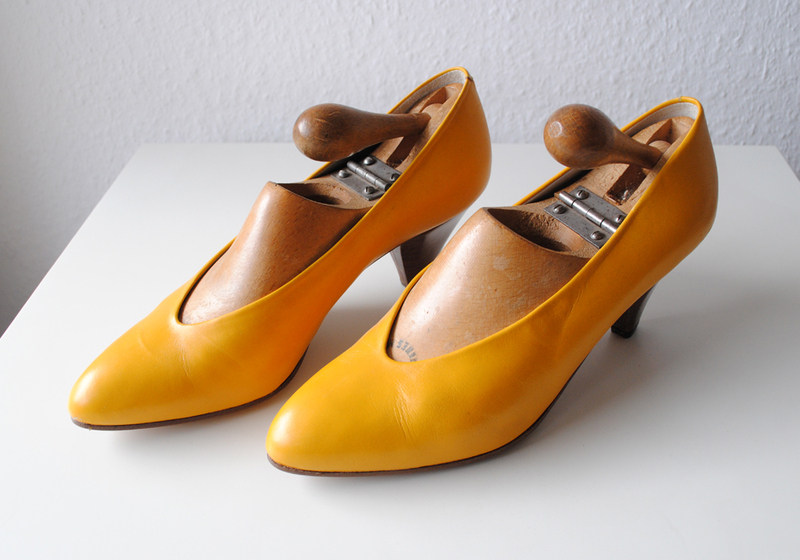 These are the amazing yellow heels I discovered the other day (which are now in the shop!!). I found the shoes complete with wooden inserts. 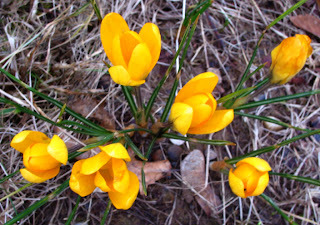 I was thinking yesterday the colour reminds me of the crocus' I have begun to see blooming around Bonn. I can't wait until Spring (Frühling here in Germany) really kicks in!